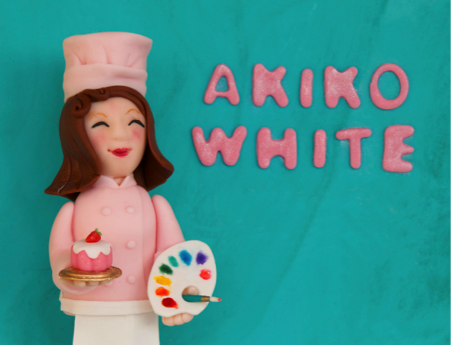 This week we introduce Cakelustrator Akiko White. What is a Cakelustrator, you ask? 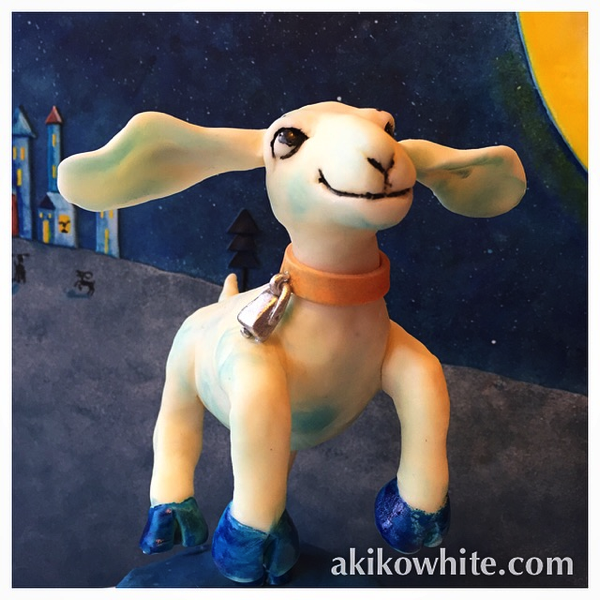 One who makes illustrations out of cake, sugar, and chocolate! Be sure to enter her delicious giveaway below: a batch of cake pops (only for U.S. addresses). First, I want to say thank you for having me here on the 411 Spotlight! I’m a small town girl from a small West Texas town. I have always loved drawing. My mother and grandmother influenced me with their artistic talents in both art and baking. In middle school I created a poem book for Christmas and in high school I made a cartoon cliff note of Macbeth. In college I thought it would be fun to be a part of the children’s book world. I worked for a publishing company for a few years, but left to freelance after my first child. About 5 years ago I came back to children’s books and have not looked back. I LOVE the support that we have in this industry. We all tend to be alone most of the time, but through social media we are able to connect and cheer each other on! Tell us about your very unique medium, Cakelustration. 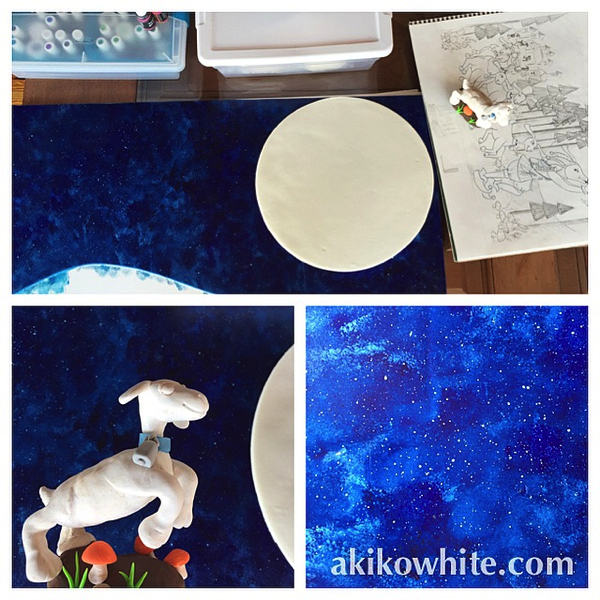 How did you start illustrating in cake and where has it taken you? The marriage of the two was a complete surprise! Since middle school, I have always loved making cakes for my friends and family. But I had not thought about using it as a medium in illustration. It was a pleasant surprise when Tomie picked my illustration as his award-winning piece without even knowing it was cake! I try to post my process as I work online because I think it is unique to most illustrators and especially to my non-artist friends who enjoy seeing everything come together. 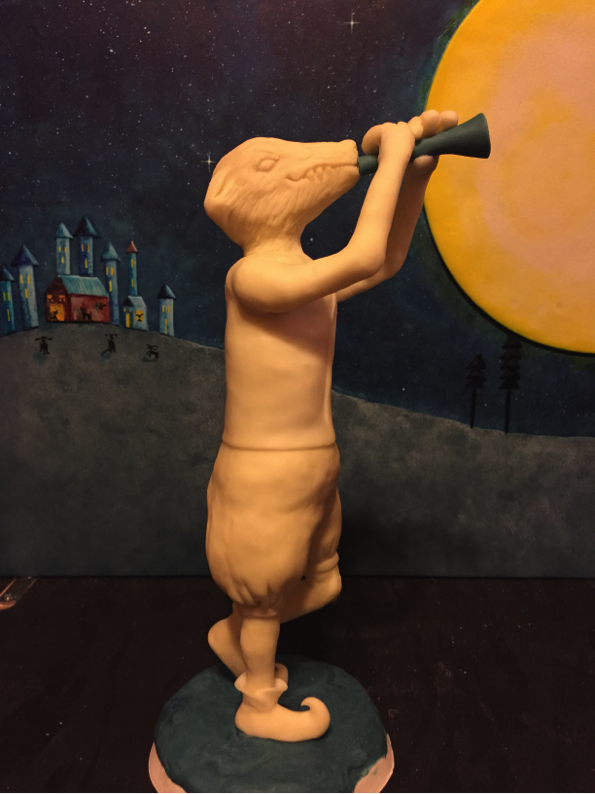 The Cakelustration process that I will show you is one that I did for a prompt at the SCBWI Austin conference 2015. Art Director Kristine Brogno from Chronicle Books graciously gave the illustrators a prompt and we submitted sketches to her for her feedback. During the workshop we were all able to critique everyone’s final art. It was a fun process and it gave everyone an opportunity to work with a real art director. Yes, I know the necks of my silly goats are too long! I try to draw it to the scale of what my final art will be. I use a protraction wheel to get this result. On this image I quickly put in some color in for reference. I used colored pencil here, but usually I use watercolor. With this project I actually changed the colors when I actually made the final image. It needed to look more like nighttime not daytime. 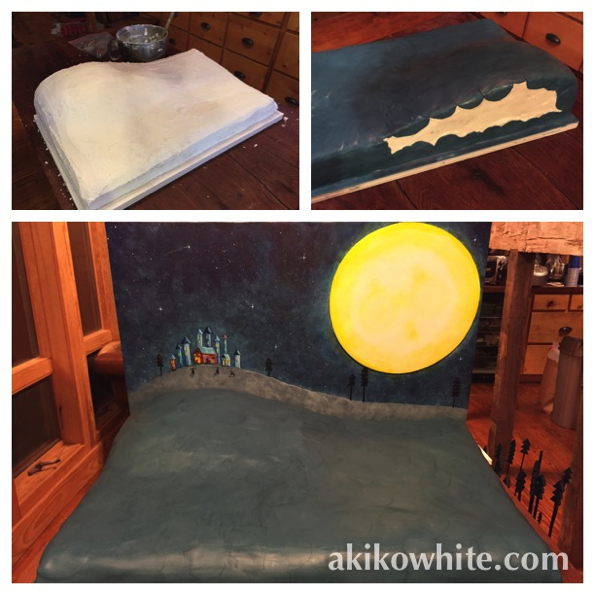 I use foam core and then I layer fondant on top of it. Usually there is some overlap of shapes and then I use edible food dye to paint it like a painting. 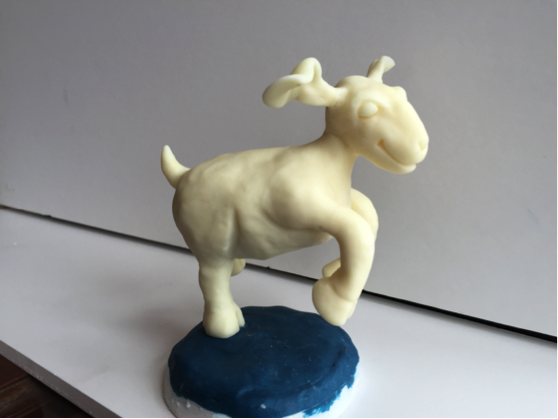 With this image, I quickly made a Sculpey goat to give me an idea of how I would create this out of a sugar medium. 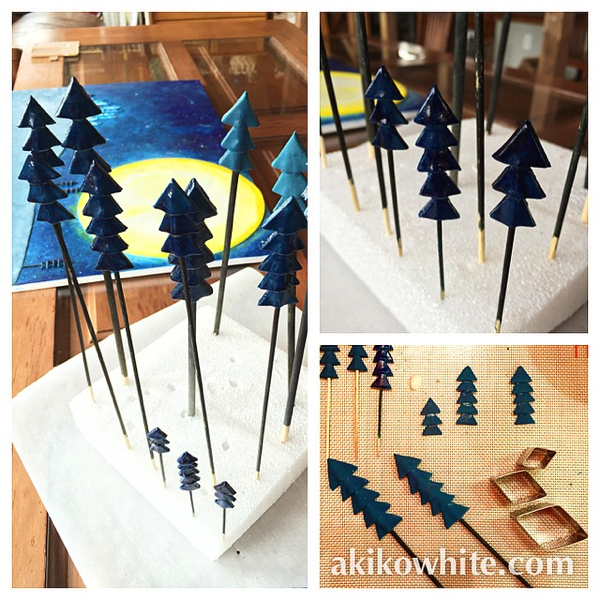 These trees are made with wooden sticks and gum paste colored with edible blue ink. Using cookie cutters for shapes is great fun! I made his skeleton out of wood and various other materials. 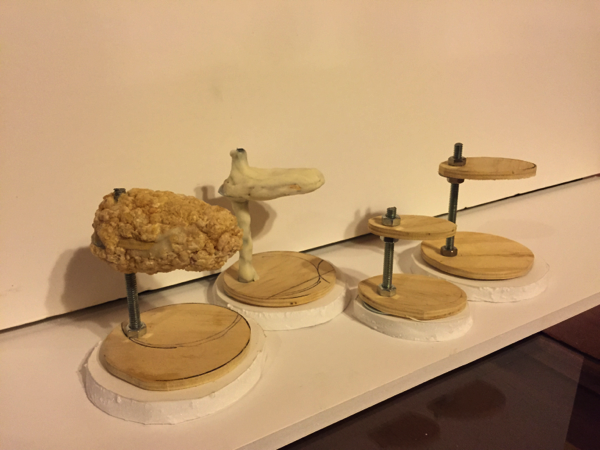 I knew I would have to combine certain different sugar materials, so I usually create, paint, then create, and paint again. The collar and bell are made out of gum paste. I love how the ears make the goat look like he is flying. 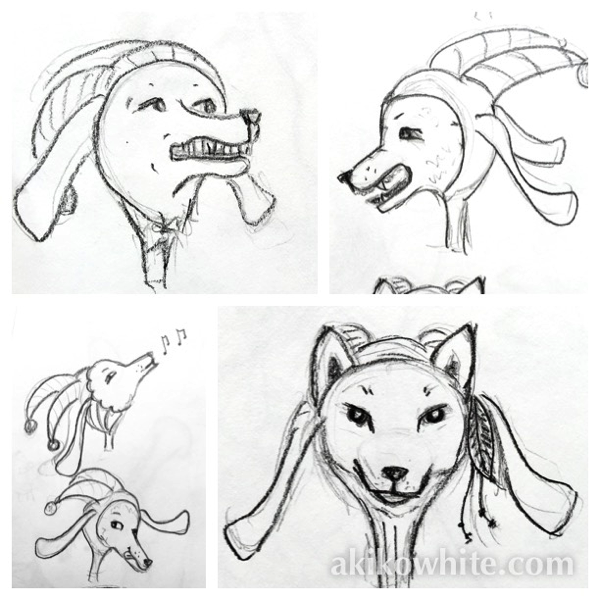 I actually own Nubian goats and their ears are extremely huge for their little bodies! They have the most wonderful personalities and make the creamiest milk. I have made cheese and yogurt from their milk. I’ve also made cheesecake with the delicious goat cheese. It was never my lifelong dream to milk goats, but what a great experience it has been, and it inspired me to create these cute little guys! Now is time for the cake! I leave it for the last item in my illustration, especially if it is intended for eating. Why would a cake not be eaten you ask? 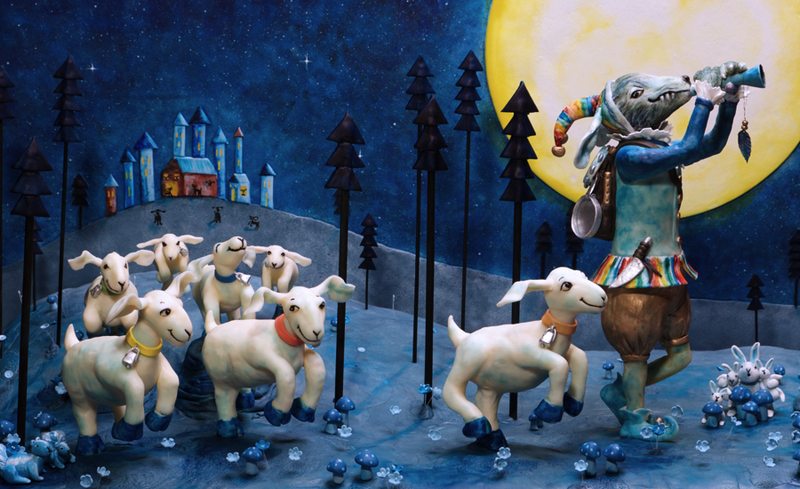 There are times that a cake may be created for a window display at a bakery or for a cake competition. All sculptural cakes for competitions have to be real cake but some are made with rice crispy and others have a base of Styrofoam. Here is the final illustration! I am lucky to have a husband who can take my professional photographs. He snaps the shot after I art direct it. 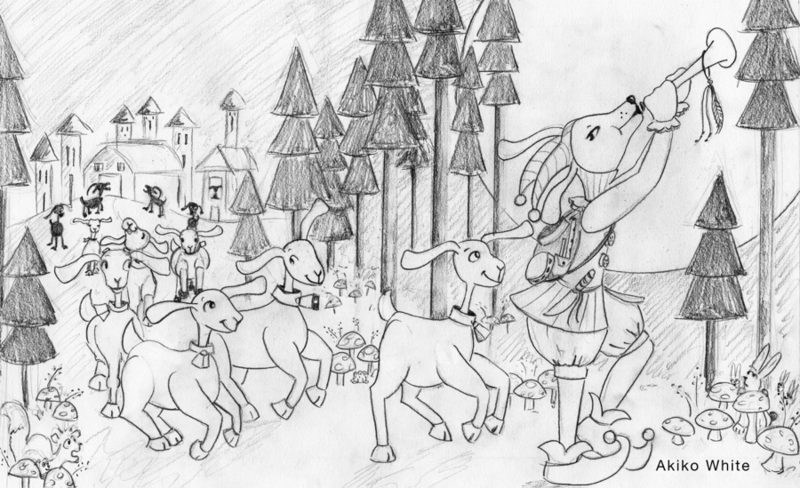 With this piece, I had to look through the camera lens to get the goats and the Pied Piper into the right position. I wanted it to really look like they were coming in from the little town. I think it was pretty successful cakelustration. I also won a cake competition with this same exact cake! 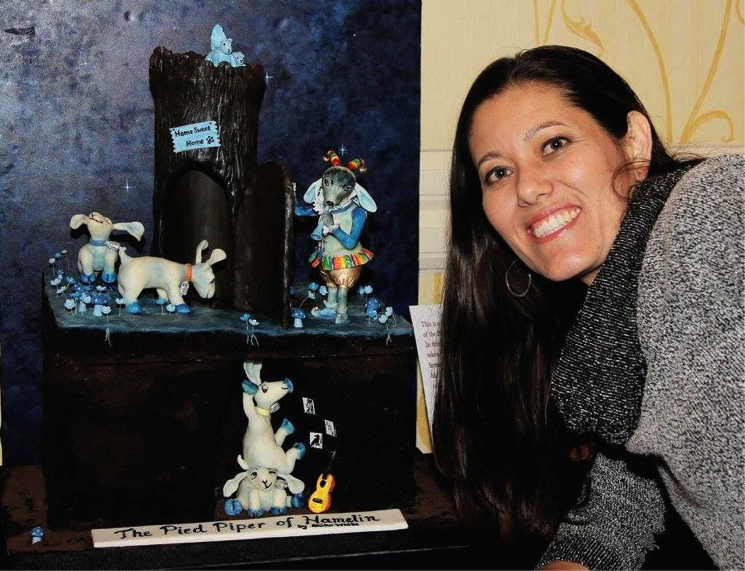 I attended the Austin That Takes the Cake Competition and the theme was “Once Upon a Cake.” It was a perfect theme for what I am doing with my illustrations, and I am so thrilled that the judges agreed. It was amazing to have these food network stars and some of my cake idols tell me that I had inspired them! I think they had never seen cake used in this way. I’m still on cloud 9! Wow. That is so interesting. 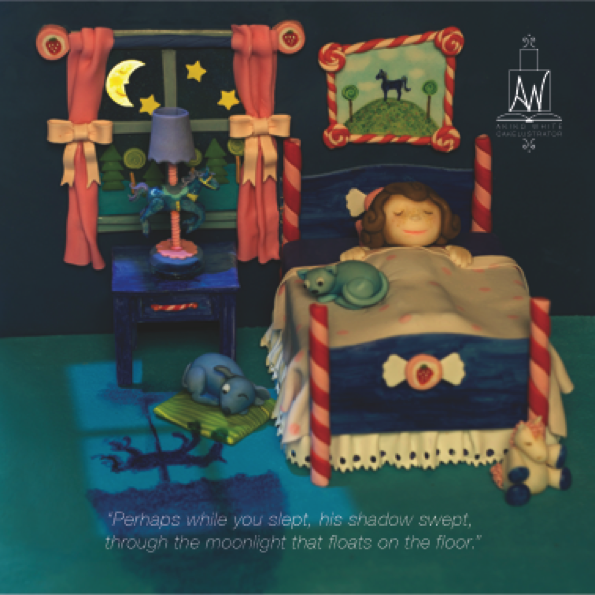 You were the grand prize winner of Tomie dePaola’s annual illustration challenge in 2014. What was the best part of the experience? 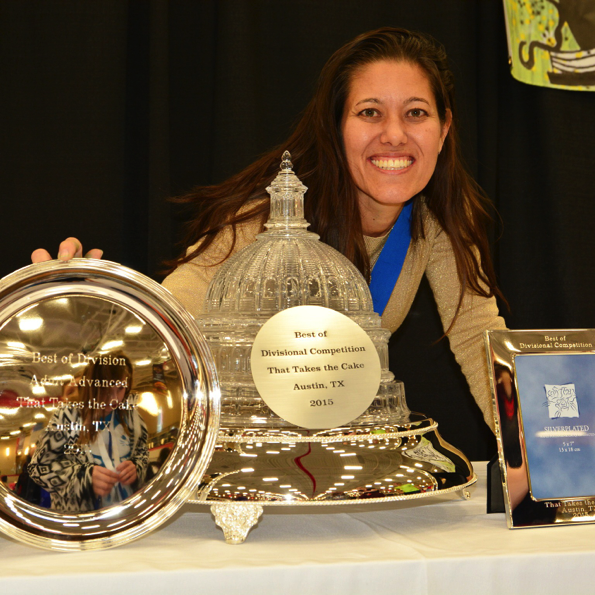 The SCBWI graciously gives the winner of the Tomie dePaola award an all-inclusive trip to the winter conference in New York City. Tomie announces the winning entry during the awards ceremony. On this particular year, Tomie added a one on one lunch with him. I would have to say hands down that the best part of the experience was the three-hour lunch that I shared with Tomie. The wealth of information I gained during that time was quite amazing. He is amazing! 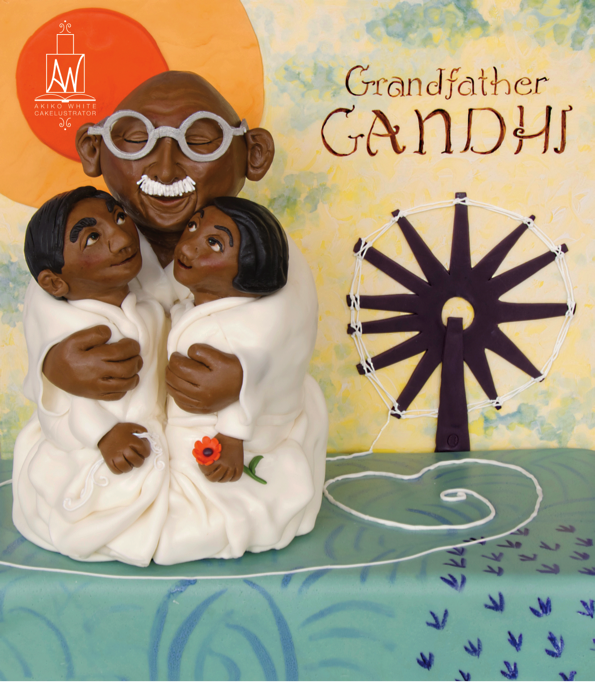 To be 80 years old and still be able to create books is astonishing! He truly loves what he is doing and told me that he can finally say that he is satisfied with what he has done and where he is in his life right now. Quite rightfully so! He is such a gem! I have several projects going on at one time. But I am going to be focusing on one full story so that I can finally submit a full-dummied manuscript. I have spent the last year perfecting the Cakelustration process. I feel that I have a pretty good grasp on it, even though there are still more techniques that I would like to master. I’m looking forward to submitting my own stories in cake soon. What’s the best advice anyone ever gave you in pursuing illustration? The best advice came to me from Dan Yaccarino at the SCBWI Houston Conference. I was already inspired after hearing his presentation on his road to success and how you must always say “YES” even if you don’t really know if you can do the task presented to you. I think it is difficult to put time aside to pursue your passion, and it is especially hard when you have kids in tow and a husband that travels a lot. But sometimes, leaving the dishes in the sink, and not doing the laundry occasionally (it will always be there!) is OKAY! Luckily, I live in the country and don’t have too many visitors! So follow your passion! Go out and create! You never know what will come out of it! My family still loves me. And they are actually learning from my experience. My nine year old recently told me that she wished that she had the same amount of passion and persistence as I do in my art. I have no doubt that someday she will! Be persistent and don’t give up! It takes a lot of time and courage to put your self out there. It is a long road, but if you truly want to be an illustrator you will get there someday. Oh, and don’t quit your day job. Or at least that’s what I’ve been told. Other illustrators, writers, artist and bakers! I am discovering new talents every day and they all inspire me. My memories, my farm and my children inspire me everyday. It's great to meet a fellow chocolate lover. Where can people find you online? 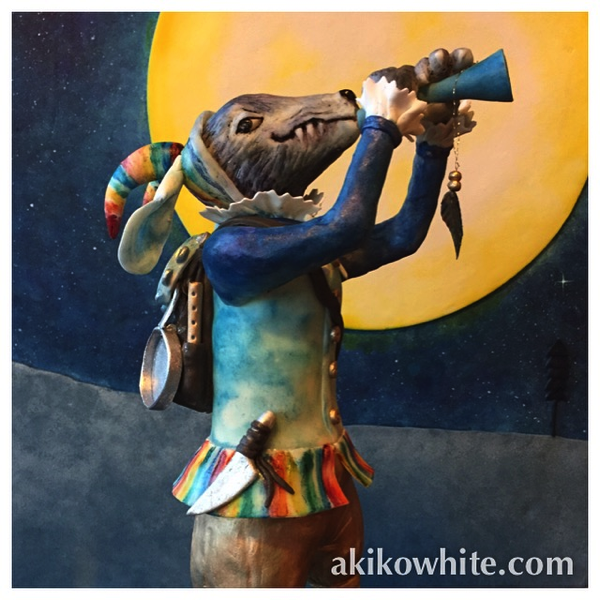 Akiko White received a Bachelors of Fine Arts from the McNay Art Institute in 1993 and is working as a professional illustrator since then. She has also taught digital and traditional illustration at a local Jr College. At the present, Akiko is enjoying life on the farm in the Texas hill country and gathers inspiration from her past, her children and the many animals on the farm. I love Akiko's original, playful work so much!! Great interview! 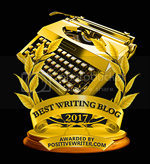 Thanks so much, Akiko and Sylvia, for the interview and giveaway! Teresa, you are an amazing homesteader too! Will you teach me how too knit socks one day! We will meet someday soon :) SCBWI Conference maybe! 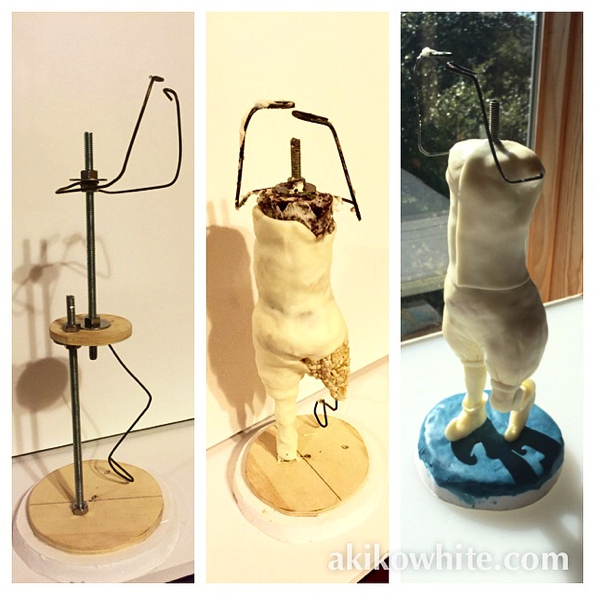 Akiko, I love how you walked us through your process. So intriguing. Thank you. 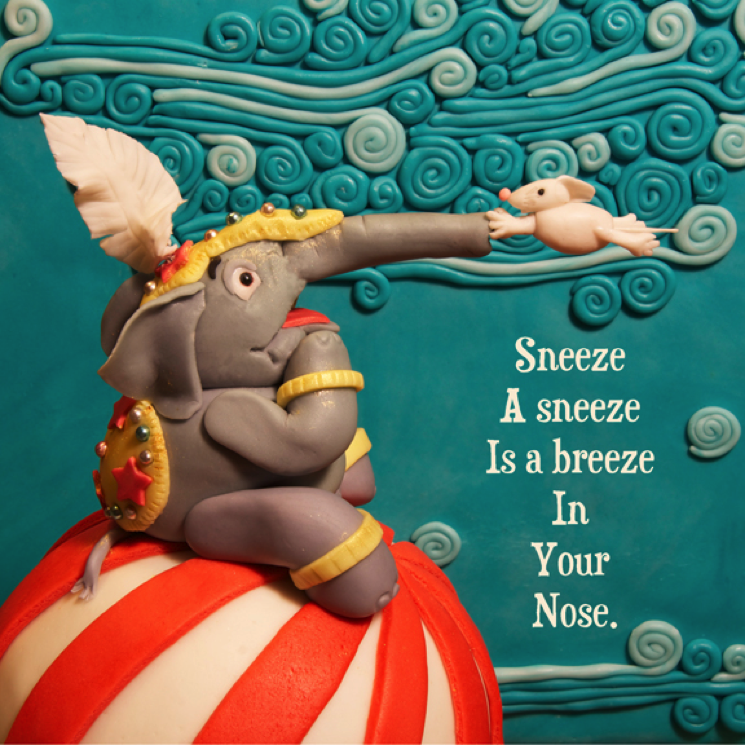 When I saw your Sneeze in a breeze, illustration announced as a winner, I never dreamed it was cake! Nice work. Congratulations on your awards. It is a unique method of illustrating. Alayna, Thank you so much! It has been an interesting and sweet adventure! Oh my goodness! 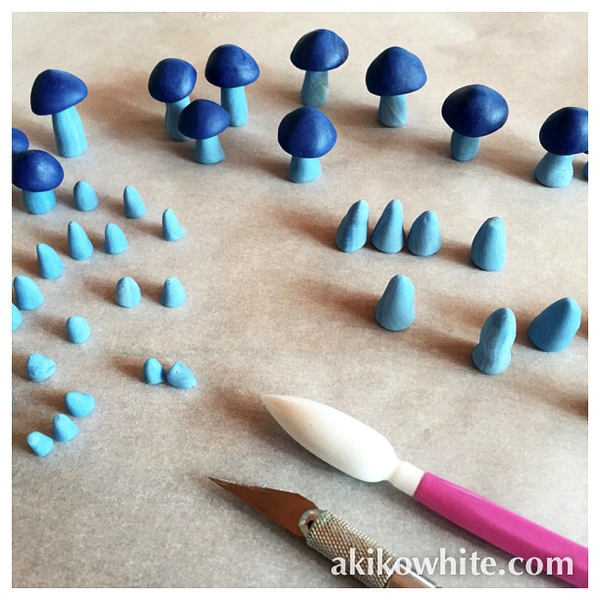 I have never heard of Cakelustration -- and this is incredible! I just devoured this post with my eyes, thinking all along "How does she DO that?" Just fascinating, Akiko. Wow. Congratulations on all your well-deserved successes. Thank you Renee, wish I could send overseas, but I'm not sure of the cost and how long it would take to get there. I once sent homemade biscotti to my grandfather in Japan and he received it a month later, but still ate it! Ha ha! Thanks for a taste-tactic interview, Akiko!!!!! Thanks Elaine, wish we had smell-o-interview! 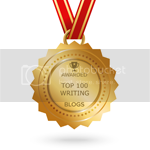 Thank you so much Silvia for having on Kidlit 411. It's so fun to share! 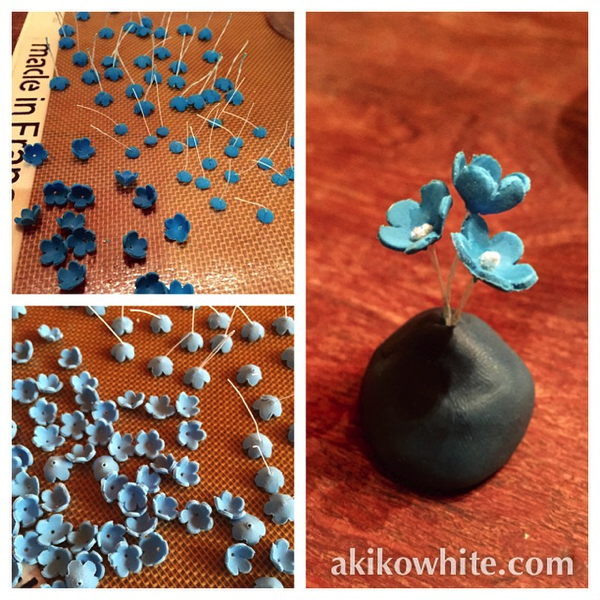 Thank you, Akiko, for sharing your process… I would love to see one of your cakes in person. Your cake art is amazing. 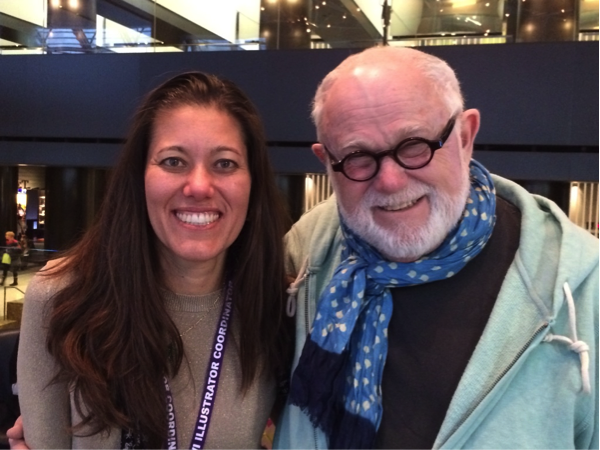 Gosh, a three hour lunch with Tomie de Paola you must ha e been in heaven! Thank you for doing the interview, I enjoyed reading it. Thank you of reading :) The lunch with Tomie was AMAZING! 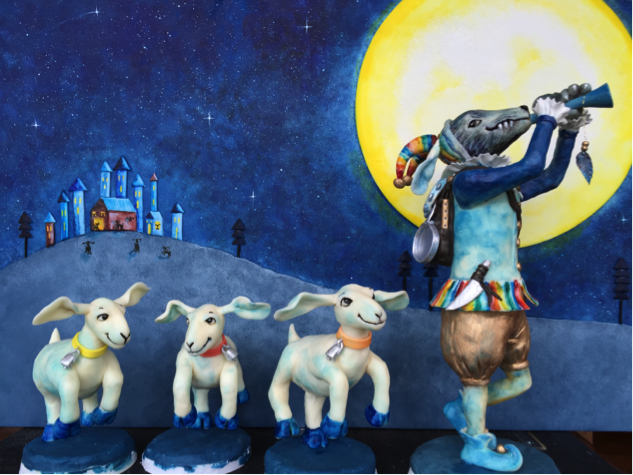 I loved this insight into your cake illustrations and have been intrigued in your process ever since your won the SCBWI Tomi DePaola Award! Thank you Yvonne, I'm so happy you could enjoy the interview. These look awesome...and very tasty! Congratulations, Akiko! Congratulations to you! I will be sending your cake pops soon! I think I can do chocolate strawberry. I hope you enjoy them! Amazing! My mind is blown!! 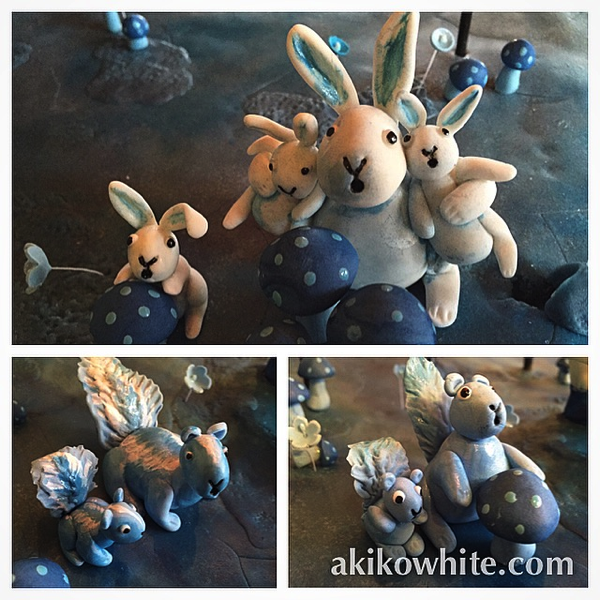 Okay, Akiko - I am absolutely gobsmacked by your cakelustrations! You have a new fan for sure! I also had no idea your Tomie winner was a cake! Bet he was surprises when he found out too! You are incredibly talented and amazingly inspiring. THANK you! Wow, what an intense method! I'm not sure- I might eat more than I finish, constantly missing deadlines because it looked so good to eat! Congrats on the Tomie award! I am so in awe of your talent! Your work is amazing and I'm happy to be a 'groupie'! I've seen your work since the Tomie award win and have loved it. Delicious. Thanks for sharing it with us. Thanks for joining us her on Kidlit411 Stacy! It has been a pleasure to share my process. So happy to read a longer piece about your process and your background. I am amazed by how fluid and colorful your characters are. 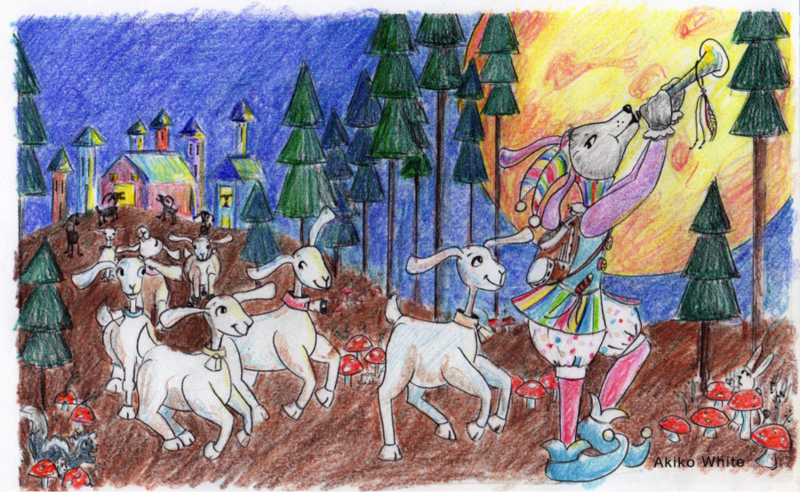 I really love your new piece with the Pied Piper and the fantastic goats. It's a pleasure to see your work. Thank you so much Annina, It has been fun figuring out the process, and there is so much more to learn! This was delicious to read. I'm not up for cake pops but just wanted to say how much I loved your post. Thank you. 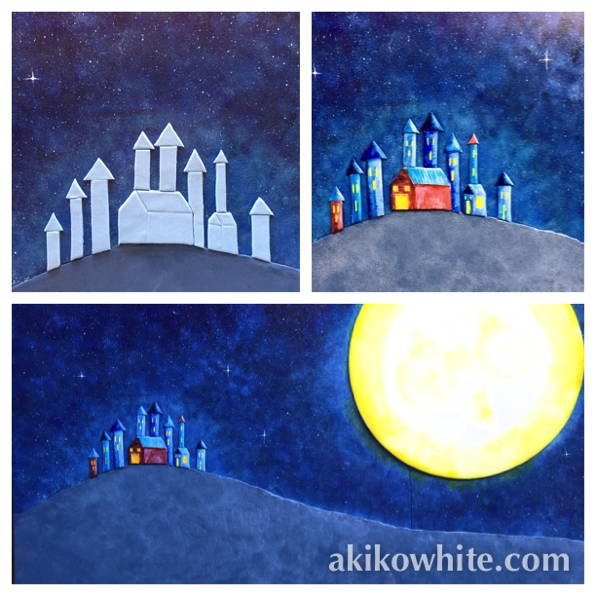 Akiko, you have created such a unique niche for children's book art! Your work is fun and beautiful (and delicious, too, I am sure!). Congratulations on all you've accomplished!